So that was the year that was. 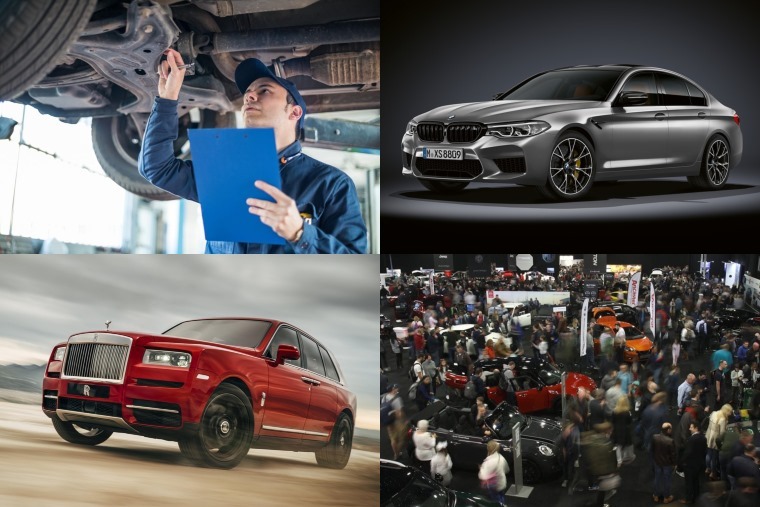 2018 threw up a variety of challenges for manufacturers and drivers alike, with changes to emissions testing causing havoc for new car sales while changes to the MOT test caught a lot of people out on the other side of the fence. Standing out amidst it all, leasing continues to go from strength to strength as consumers increasingly turn their back on vehicle ownership in an uncertain world. The UK is currently positioned as the third largest leasing market in the world. 2018 started off with a few predictions, all of which kinda came true apart from it being make or break for Tesla. While the company faced a year of boardroom drama – from submarine plans and ludicrous accusations via Twitter from Musk to the even more serious accusations of securities fraud and being forced to step down as chairman as a result – it weathered the storm. Negative media around diesel vehicles continued to affect sales as SMMT revealed the fuel had dropped just over 17% year on year. Elsewhere, Mercedes launched a new G-Class just as Land Rover offered a £150k limited edition Defender, but it was Ford’s Bullitt Mustang which stole the show at the Detroit Motor Show. 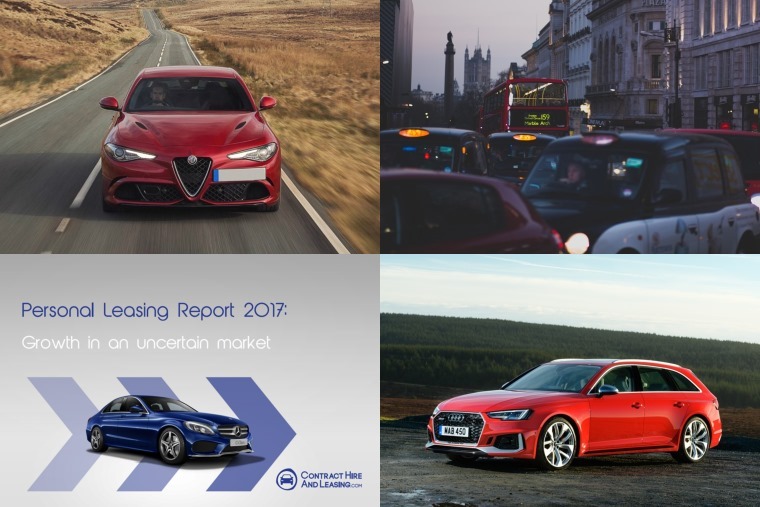 We published our 2018 Leasing Report, collating all the data and trends we’d identified over the previous year. 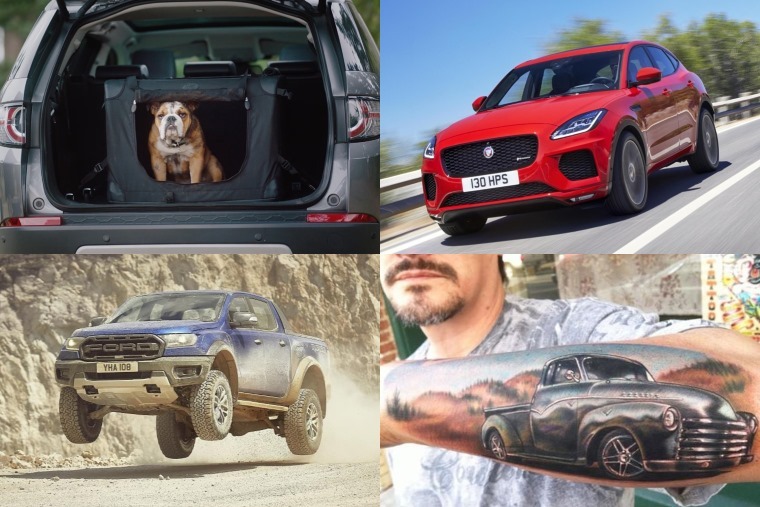 Covering the whole gamut of the industry from most enquired vehicles to most popular rental profile, the big news to come out of the report is leasing grew 12.7% and overtook hire purchase as the second-most popular form of new car finance. Elsewhere, diesel car enquiries increased by 5% in 2017 and accounted for 55% of all enquiries, meaning anti-diesel rhetoric over the past 12 months had not impacted the personal leasing sector … yet. Along these lines, Car Dealer magazine found that 58% of ministerial vehicles are diesels; at odds with the government’s anti-diesel rhetoric and the capital’s air quality issues. What’s more, the report arrived just weeks before increased VED rates were set to penalise those choosing new diesel cars. And as it was the month of romance, we decided to look at five cars to fall in love with. The snow played havoc at the beginning of the month, so we put together some handy driving tips to help you keep on the move. 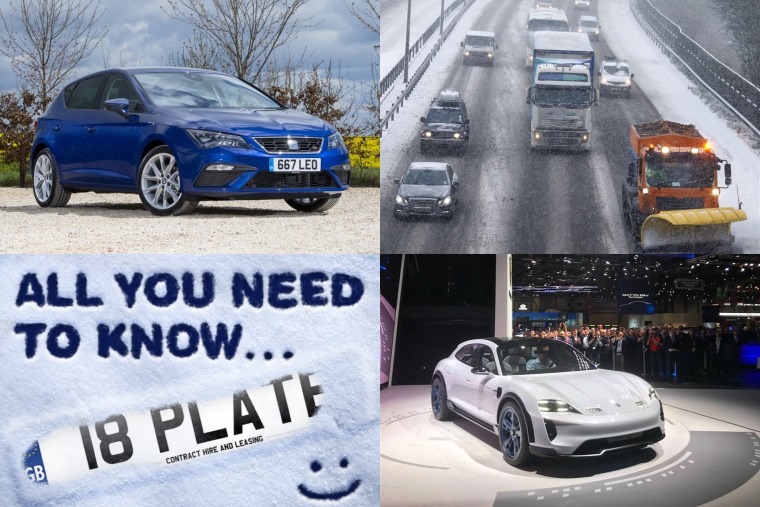 The bad weather didn’t distract from the launch of the new 18 plate though, and to celebrate the arrival of the all-new plate we collected the best car leasing deal tips, advice and offers. Aside from the new plate, March is traditionally our busiest month thanks to the Geneva Motor Show and this year was no different. Alas, we now live in the age of the spy shot and the shadowy teaser image, so this year G-Day seemed to come and go with not a bang but a whimper with very few surprises or exclusive reveals. 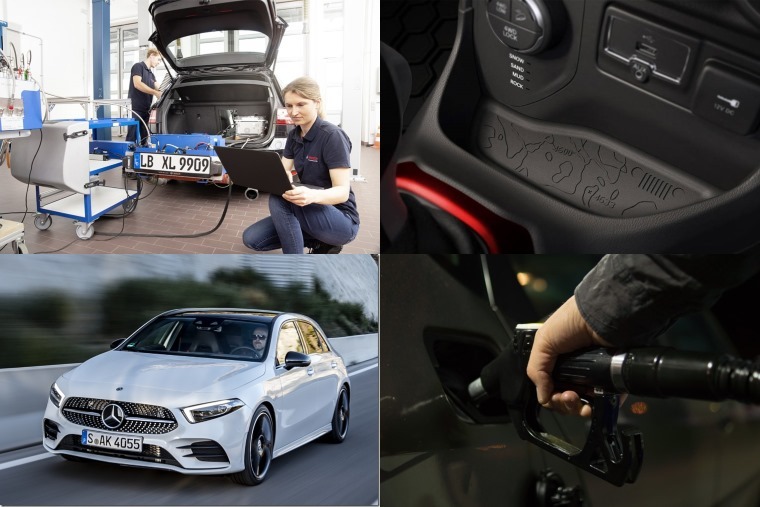 The vast majority of manufacturers seemed to use the opportunity to showcase a variety of concepts giving us a glimpse into the industry’s plans for the next few years. We collected our top five concept cars from the show. Jaguar finally revealed its all-electric I-Pace after years of teasers and working concepts had captured our imagination. Mercedes-Benz showcased the new A-Class and C-Class which would go on to dominate lease enquiries for the rest of the year. On a global scale the leasing market grew by 9.4% to US$1,100bn in 2016, with the UK the third largest auto and asset leasing market in the world. With Easter coming early, we had a look at what five of the best Easter eggs you can find cars. While that was sweet, one thing that was sour was revised car tax rates coming into force on 1 April, meaning that drivers of new diesel vehicles will face higher first-year tax bands. As a result, when SMMT figures rolled around for the preceding month they showed a staggering 37.2% fall in diesel car sales. The trade off for this was that hybrid sales slowly started increasing. This proved to be a double-edged sword for Volkswagen who had to cease taking orders for the Golf GTE as well as the Passat GTE. BUT WAIT! German technology giant Bosch announced a development breakthrough for diesel vehicles that radically cuts nitrogen oxide (NOx) emissions by almost 90%. The new technology can achieve as little as 13 milligrams of NOx in standard legally-compliant RDE cycles. In Lehman’s terms, the drastic reduction means that any diesel in the future will comply to any emission limits. Too good to be true? We’re still waiting on an update on this eight months later. May was a month of anniversaries, with Land Rover celebrating its 70th and the Mini Convertible celebrating its 25th. With Lamborghini launching the Urus, it seemed like the gloves were off for manufacturers of all stripes to offer an SUV. Rolls-Royce took the bait and announced the Cullinan for an eye-watering £230k. All it made us think of was the Canyonaro from The Simpsons. The end of May brought changes to the MOT test, with tougher emission standards for diesels and a new defect classification system for faulty vehicles, the DVSA says the changes will result in “cleaner and safer” vehicles on the UK’s roads, and will encourage motorists to have necessary repairs carried out. 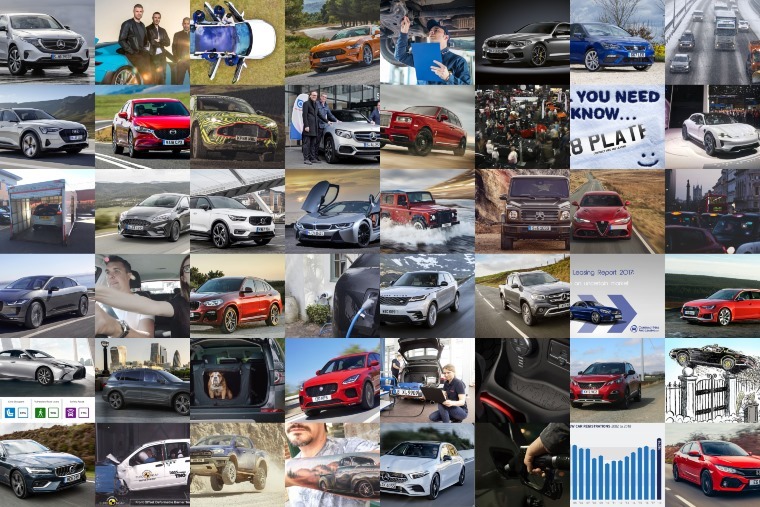 Volvo kicked off the month in style, being crowned Car Manufacturer of the Year at the Which? Awards. This is on top of the XC40 winning European Car of the Year and the XC60 winning World Car of the Year. It’s safe to say Volvo had a pretty amazing 2018. With more and more manufacturers committing to an electric future, we tested a Nissan Leaf for the week. What did we think of it? The long and short of it: It normalises the electric car in every conceivable way. The team also put the Nissan Leaf to the test to see how practical the electric car is as an everyday vehicle. See how they got on in this day-by-day blog. Audi grabbed headlines with the reveal of the new Q8 while BMW showed off the new X5. Perhaps the biggest news halfway through 2018 was that of changes to the driving test, which allowed learners to take lessons on the motorway. The World Cup was in full swing, and as the nation had low expectations of the national squad the fact we not only won a penalty shoot-out but also reached the semi-final was almost felt as good as getting the trophy, almost. Another nice surprise was Suzuki’s new Jimny, which looked like a Wrangler and Mercedes G-Class lovechild – in a good way. The government bolstered its EV-intentions by announcing that new build properties will come equipped with an electric vehicle charging point as standard to ensure new homes, offices and even lamp posts help improve charging infrastructure. Meanwhile, a heatwave throughout the month meant our plans for going off-roading in the new Toyota Land Cruiser were scuppered by moorland fires. The month ended on a downer, with the surprising and sad news that Fiat Chrysler Automobiles head honcho Sergio Marchone had passed away. Characterised by his sweaters and permanently having an espresso and cigarette in hand, Marchione was one of the auto industry's brightest, sharpest and most entertaining minds. 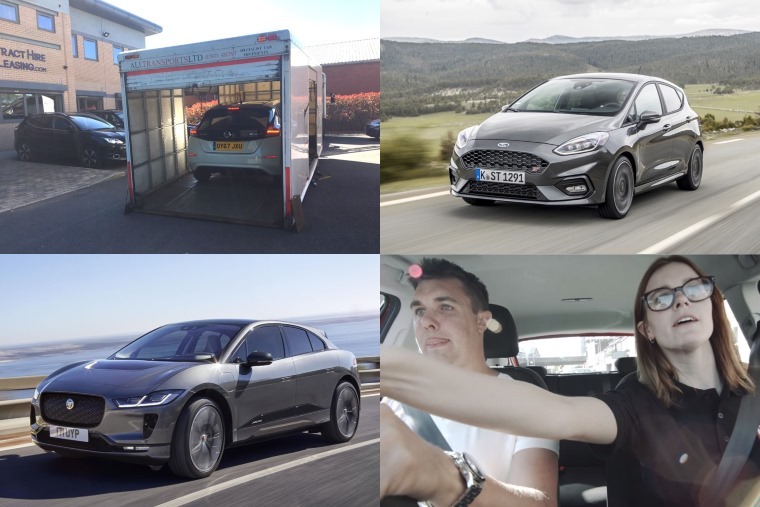 A traditionally quiet month for motoring, the Kiki Challenge took over the online world for all of a week with people attempting to get out of a car and bust some moves with the car still moving. Yep. Ford confirmed that the new Ranger Raptor – the toughest and most high-performing version ever of Europe’s best-selling pick-up – will be arriving on our shores, following its debut at the Gamescom trade fair in Cologne, Germany. And as Dog Appreciation Day took place on 26 August, Land Rover launched a range of premium Pet Packs to help their four-legged friends travel in the lap of luxury. They must be barking mad etc etc. 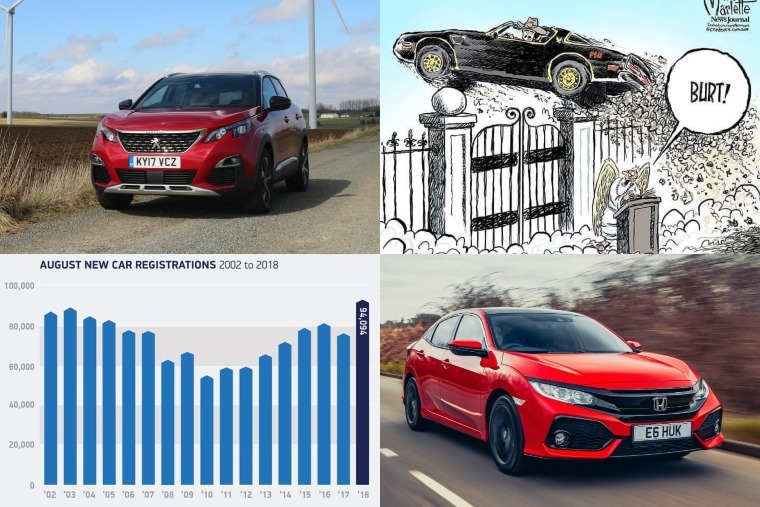 The month kicked off with a 23.1% uplift of new car registrations in August – usually one of the year’s quietest months. The reason? Manufacturers and dealers trying to shift NEDC-compliant cars ahead of the new WLTP regime coming into effect. HRH Prince Charles was one of the lucky few to get his hands on the new Jaguar I-Pace in September. Having previously installed solar panels on royal roofs and switched to low-energy light bulbs, an electric car was the obvious next step, and keeping to his patriotic and environmentalist roots the Jaguar I-Pace proved the ideal vehicle. And sadly Burt Reynolds passed away at the beginning of the month. The cause for turning many a child into a petrolhead in the 80s thanks to Cannonball Run and Smokey and the Bandit, we hope he drove that Trans-Am right over the pearly gates. The Paris Motor Show dominated the early part of the month. As one of the marquee events on the automotive calendar, the Audi A1, BMW 3 Series, Porsche Macan and more were shown off. You can check out our time at the event here. Mercedes-Benz revealed its first foray into the EV market, with the EQC shown at the Paris Motor Show. Due for release next year, two electric motors produce 402bhp and 765Nm of torque, meaning a 0-62mph run of 5.1 seconds. It will have some stiff competition though, with Audi launching the e-tron in January. With all this in mind, we investigated what people actually want from a low-emission vehicle. It may be a bit late by the time they get here though, with the government making the shock announcement that it would be reducing the grant for electric cars from £4,500 to £3,500. That’s on top of plug-in hybrid vehicles no longer being eligible for its grant of £2,500. Perhaps the biggest news of the month was the reveal of new Top Gear presenters. Again. Lancashire lads Paddy ‘no likey no lighty’ McGuiness and Andrew ‘Freddy’ Flintoff are taking the reigns on the reboot of the reboot, with Chris Harris remaining on the show to keep things, you know, journalistic. The budget straddled the months, with chancellor Phillip Hammond announcing there’ll be a £30 billion fund for motorways and major route upgrades, £420 million to tackle potholes, and fuel duty would be frozen for an unprecedented ninth year. All good news, but it came as the price of unleaded was at near-record high, while a police chief has called for forecourts to introduce pre-pay pumps to reduce the amount of people driving off without paying. Though winter was probably the wrong time to announce it in the UK, Hyundai and Kia confirmed they’re set to introduce a solar roof charging systems including one for cars. Yes we had to doublecheck if it was 1 April again before publishing the news. Mercedes-Benz handed over the first GLC F-Cell to selected customers in the German market. A unique plug-in hybrid, as it can also run on pure hydrogen, it received a soft roll-out with various national and regional ministries and organisations based in infrastructure-equipped cities being the first to test it. Meanwhile, Aston Martin made its first foray into the wonderful world of SUVs with the reveal of the DBX. It follows the lead of the Lamborghini Urus and Rolls Royce Cullinan into the ultra-luxury segment. The year ended on a downer for Fiat Chrysler Automobiles, with the 2018 facelifted Fiat Panda given a zero-star safety rating, and the Jeep Wrangler only just achieving one star. 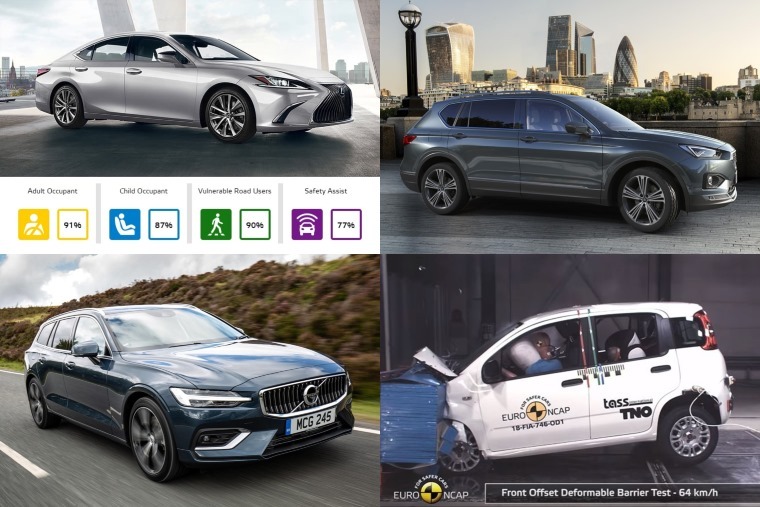 On the opposite end of the scale, the Mercedes-Benz A Class, Lexus ES and Hyundai Nexo were all crowned safest vehicles for their respective segments. 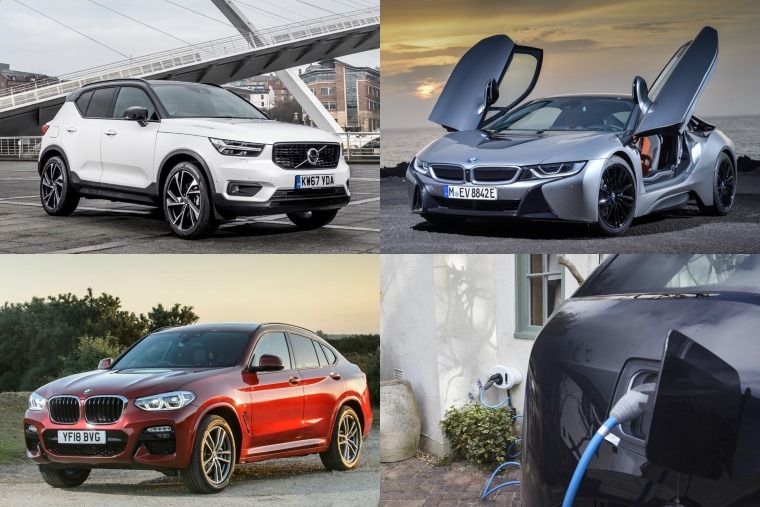 SMMT figures showed a record one in 12 people chose from the growing range of hybrid, plug-in hybrid and pure electric cars for their new vehicles. Reflecting recent trends, demand for alternatively fuelled vehicles (AFVs) rose 24.6% as buyers continued to take advantage of the outgoing plug-in car grant and electric grant before they were cut and reduced respectively. 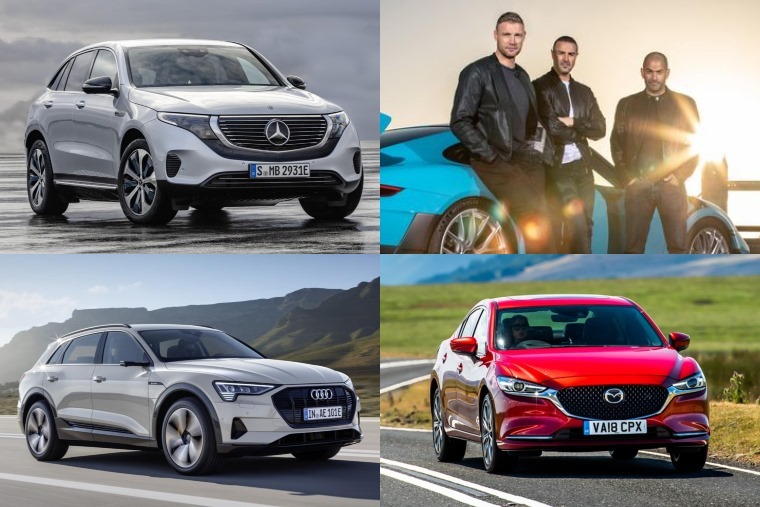 2019 brings lots of promise with plenty of mouth-watering vehicles on the way including the BMW 3 Series, Cupra Ateca and Seat Terraco. 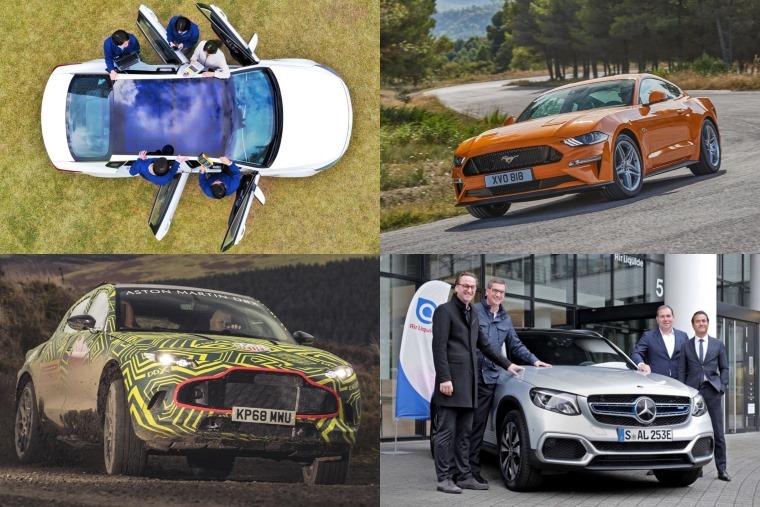 Now you’ve read this, why not have a go at our Monster Motoring Quiz of the Year. 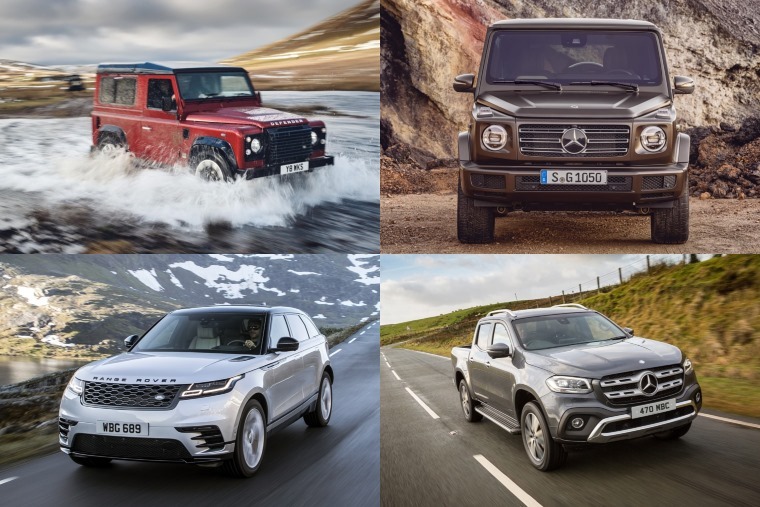 Cars reviewed: Jeep Wrangler, Volvo V60. Mercedes-Benz C-Class. Don’t forget to check out our YouTube channel to catch up on the video reviews we’ve done this year. So all that’s left to say is have a merry Christmas and a happy New Year. Thanks for reading and stay tuned for more news, reviews and tempting lease deals in 2019.